The aurora borealis has long been a phenomenon shrouded in mystery and intrigue. As a wonder of the natural world, the northern lights been the subject of many a poems and stories, while Inuit mythology says that the flickering, moving lights are the spirits of the deceased, playing a game of ball using a walrus skull. There are still several aspects of the aurora borealis that have yet to be explained, but we now know that the phenomenon is caused by geomagnetic storms that cause solar wind from the sun to move toward the earth. 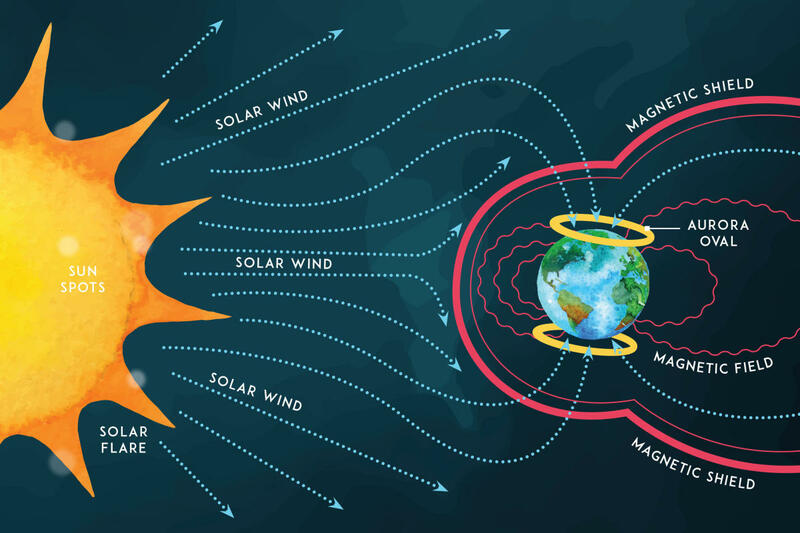 Luckily, our magnetic field protects the planet and in turn, causes a collision of atoms and molecules into the atmosphere. These tiny light sources, protons, then make up the aurora that can be seen with the naked eye in the zone called the "Auroral Oval". 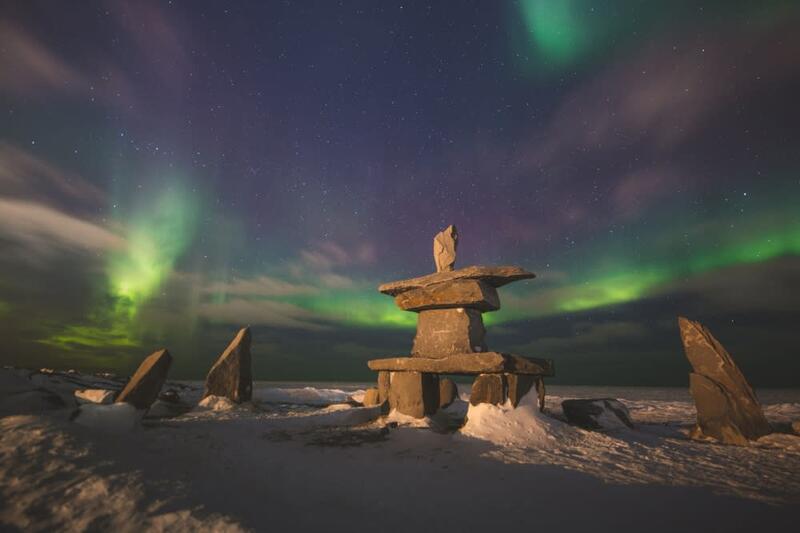 So why is Churchill, Manitoba one of the best places to see the lights? Situated just right in the Auroral Oval, the KP index need only be a "1" or higher in order to see the aurora. 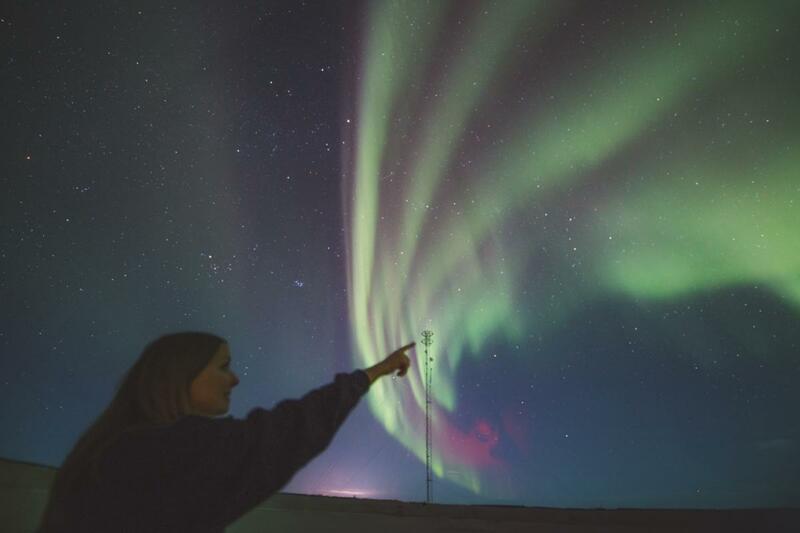 How can you view the northern lights in Churchill? 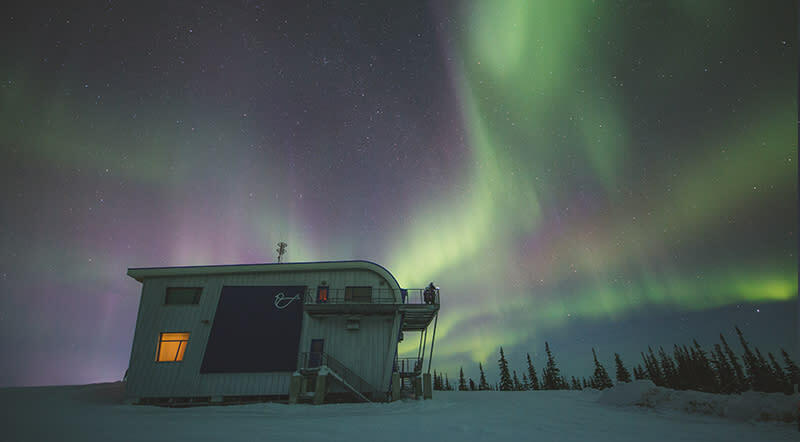 This operational research Centre provides a more affordable option for those seeking northern lights. Being 30 minutes outside of the town of Churchill, it also provides ideal conditions for viewing the night sky. When the northern lights come out, the lights in the Centre are shut off to prevent any light pollution. There are a few options for viewing the aurora borealis, from the heated dome at the top of the Centre to the outdoor observation deck. Photographers may prefer to shoot from the ground level to get foreground subjects in their photos. 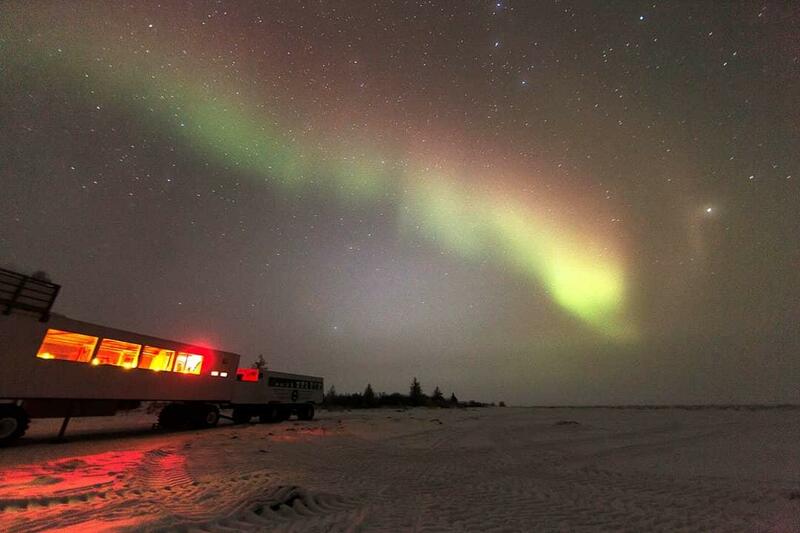 Frontiers North Adventures also offers a Northern Lights and Winter Nights Adventure that departs from Winnipeg, where most northern lights viewing happens from their oh-so-cozy Aurora Lounge, which is situated away from town on the other side of the frozen Churchill River, far from any light pollution. 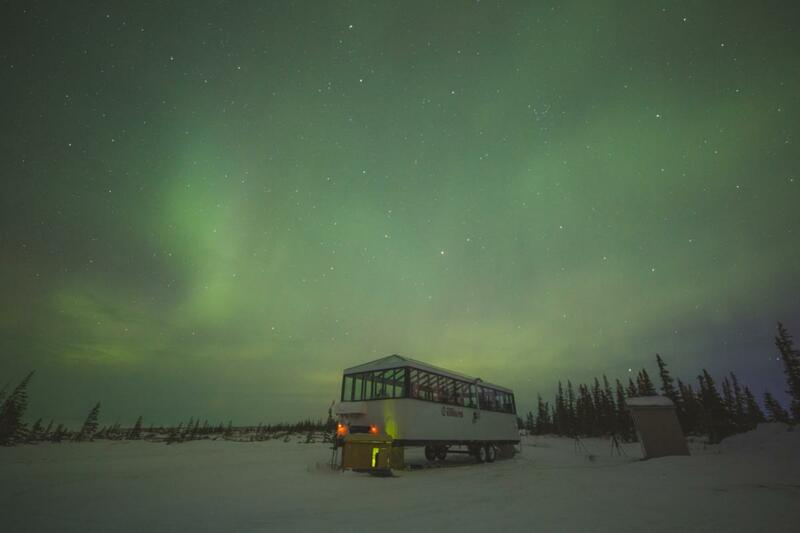 Added to the itinerary in 2019 is a visit to Dan&apos;s Diner, a mobile Tundra Buggy dining hall hidden in the wilderness and under the northern lights, where guests enjoy a world-class meal prepared by Canadian Chef Jared Fossen that features regional and local fare. 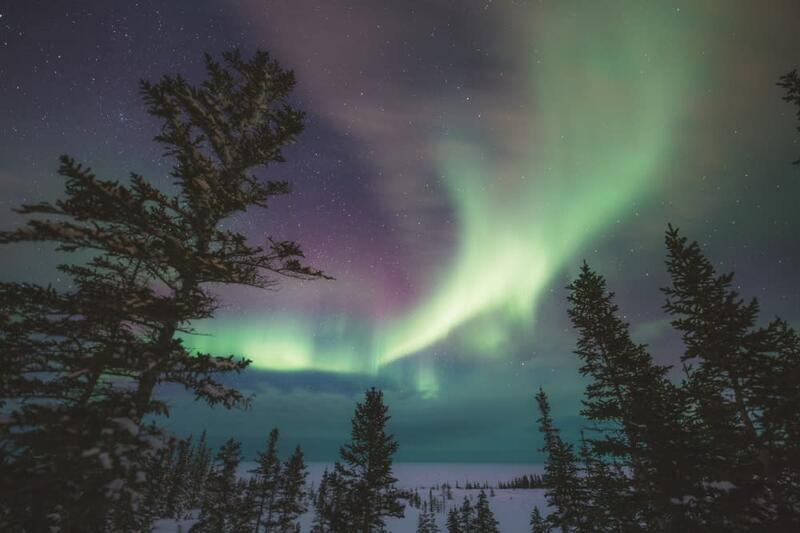 Book your northern lights trip with Nat Hab and get exclusive access to the warm and comfortable Aurora Pod, which has been specially designed for viewing the Aurora Borealis with 360-degree views of the sky via innovative glass construction and cushioned seats. 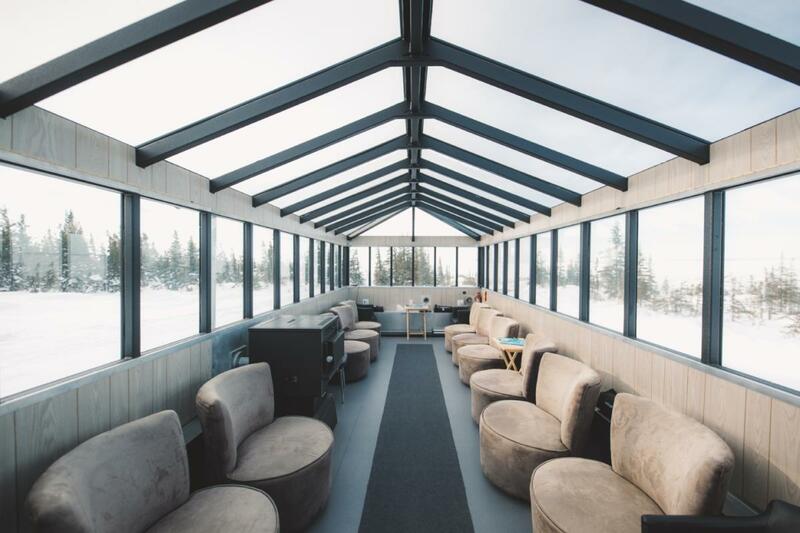 A Nat Hab trip will also bring you to the Churchill Hotel&apos;s prized Aurora Domes, where you can spend the night relaxing in the lounge or heading up to one of two viewing domes to see the lights. There are two Nat Hab packages to select from, the Northern Lights & Arctic Cultures tour and the Northern Lights Photography tour. 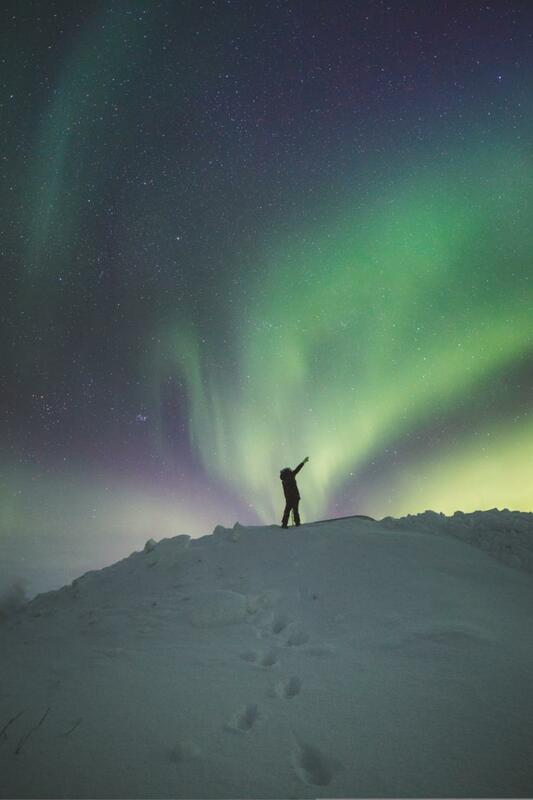 Best suited for the DIY traveller, Nanuk Operations offers Nights Under Lights, a guided evening photography outing for the chance to shoot the aurora with the backdrop of a yurt tucked deep in the boreal forest. All guests get a clear view of the lights from the yurt&apos;s large, wrap-around deck, and can head indoors to warm up near the fire with a night cap in hand.